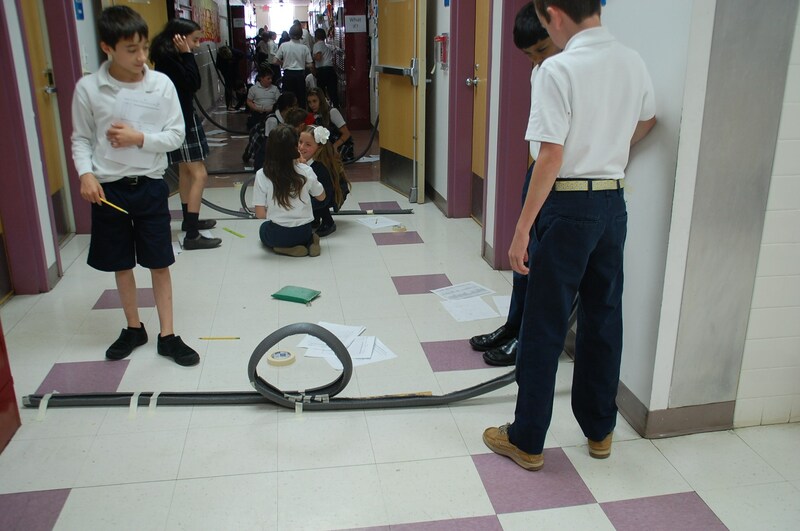 St. Joseph School is a STEAM school in which every student is involved in authentic investigations that incorporate science, technology, engineering, art and math. In an ever-increasingly technological world, STEAM is a vehicle for not only training the next generation of innovators, but also for helping them understand that everything around them – from eating utensils to their clothing to their school desks – was designed and engineered. In STEAM investigations, students work in groups and use the engineering design process to solve problems, create products, analyze materials, and build prototypes. Among other investigations, students have built bridges and catapults, adapted crutches to be more user-friendly, engineered towers and model cities, explored biodynamic farming, and investigated the factors involved in the siting and creation of wind turbines. The goals of the STEAM program are multi-faceted: not only do students become more proficient in math and science-based matters, they also experience group dynamics as they explore together. In addition, as students become more comfortable with their own potential and abilities in these areas, they are better able to see themselves in a STEAM career in the future. A recent polling of our students found that, while slightly more than half of kindergarten students had aspirations of being a princess, superhero, professional athlete or artist, students in the eighth grade divided that same percentage between engineer and doctor.